Place the lentils and water in a heavy saucepan, cover and bring to a boil. Reduce heat to medium-low and simmer about 30 minutes until lentils are tender, but not soft and mushy. When done, drain the water from the lentils and reserve. Set aside. Heat oil in a large skillet and sauté the shallots and garlic. Sauté until golden, stirring constantly. Add the cooked lentils and all remaining ingredients to the skillet. Mix thoroughly. Thin by adding a little bit of the lentil cooking liquid until the desired consistency. Adjust the seasoning, if needed. Remove from heat. Serve as a sandwich spread or dip with you favorite bread, warm pita, crackers, chips, or raw vegetables. 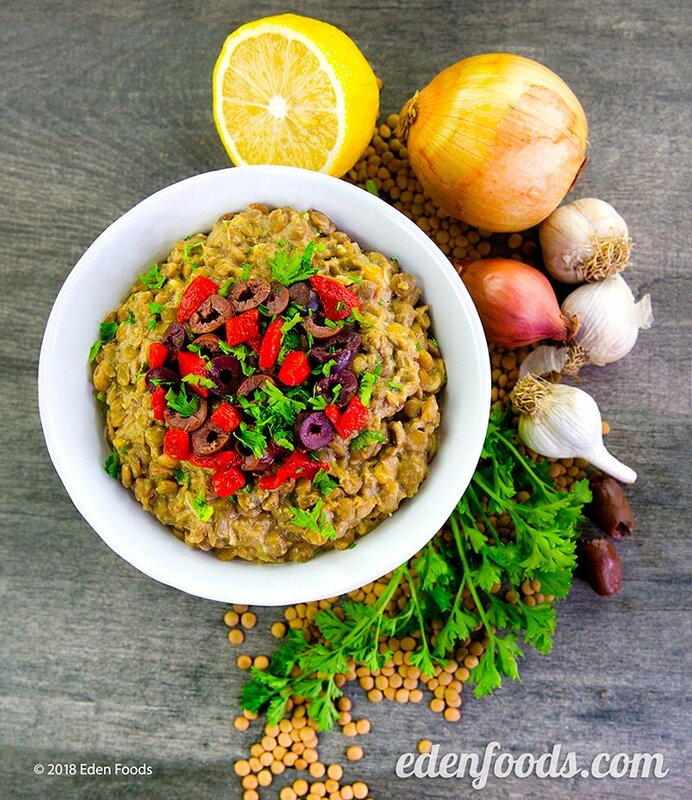 Variation: If pressed for time, use 1 can Eden Lentils w/Onion & Bay Leaf instead of cooking dry lentils from scratch.